The grounds at Faith United Methodist Church, 22045 C.R. 18, Goshen, were filled with trucks, ambulances, excavation equipment, emergency vehicles and even a MedFlight helicopter Saturday for Touch-A-Truck. 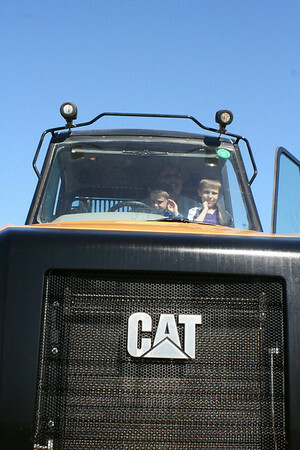 Kurt Vogel and his two sons, Trevor, 9, and Kevin, 7, all of Elkhart, enjoy sitting in a large Caterpillar tractor at Touch-A-Truck Saturday at Faith United Methodist Church near Goshen.